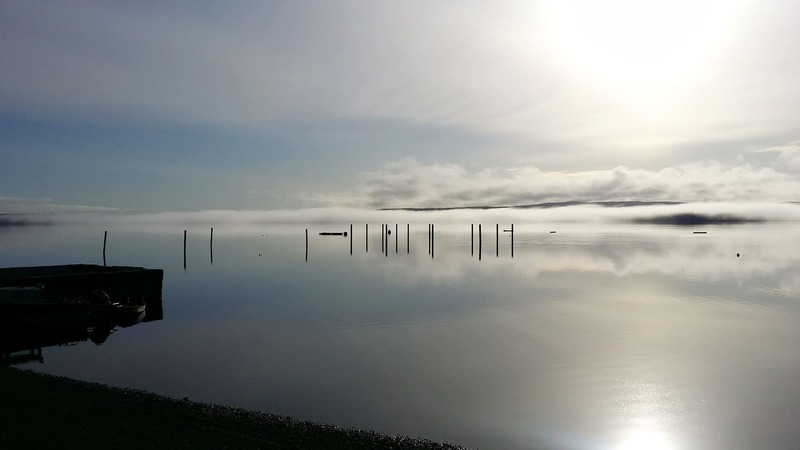 With only 71 days remaining before opening all is deceptively calm in beautiful Naden Harbour, Haida Gwaii. A whole team of devoted QCL staff are busy preparing for our 26th season at Queen Charlotte Lodge! We’ll be ready to welcome you for our biggest season ever! Can’t wait! Click on the thumb for the full view! Thanks to John Sedo for this morning’s stunning view!